Mitsui Fudosan’s first City of London development, 8-10 Moorgate, has won this year’s City Heritage Award. A commemorative bronze plaque was unveiled by the Lord Mayor of the City of London, Alderman Alan Yarrow, in a ceremony held at the building on 24th July. The prestigious City Heritage Award was established in 1978 to encourage a positive and sustainable approach to the preservation and refurbishment of historical buildings in the City. Previous winners include St Paul’s Cathedral, the Royal Exchange and the Monument. The eight-storey Moorgate building was selected from a short list of four projects for its architectural design which incorporates original features into a brand-new building. 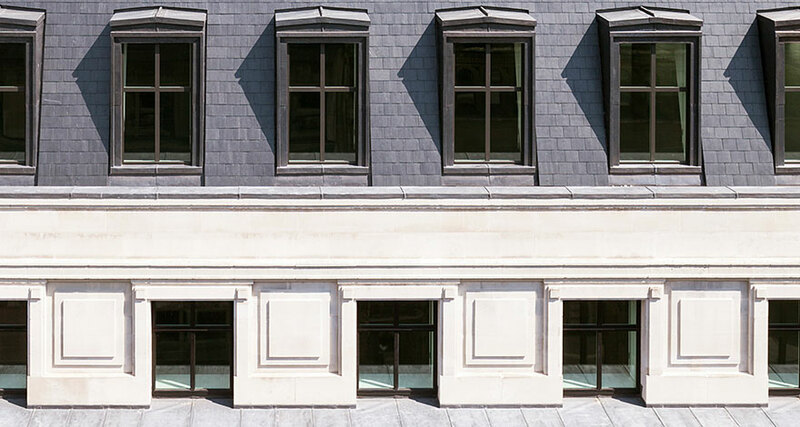 Retained façades and a new mansard roof blend in with the character of the local area, while the upper floors feature a rooftop open-air terrace below a contemporary glass curtain wall. Completed in 2014, the building offers 130,000 sq ft of premium office space which has been entirely let to ING Bank. The innovative and sustainable design by Allies and Morrison has already received a BREEAM ‘Excellent’ rating.